Bands, Brew & BBQ wrapped up this past weekend with performances by Travis Tritt & The Charlie Daniels Band at Busch Gardens Tampa. 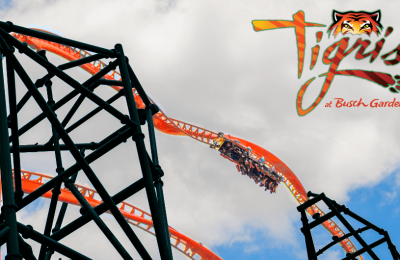 Busch Gardens stepped up to the plate and brought on a great event this year, with restaurant-style BBQ and unlimited beer sampling (who can’t say no to unlimited?). As much as I wanted to go and see Charlie Daniels Band play, feast on BBQ, and drink beer all day, my real life commitments kept me home taking care of things. However, LC made it out to the park to savor the last weekend before Vivia La Musica kicked off. Here’s some photos of performances by Charlie Daniels and Travis Tritt. 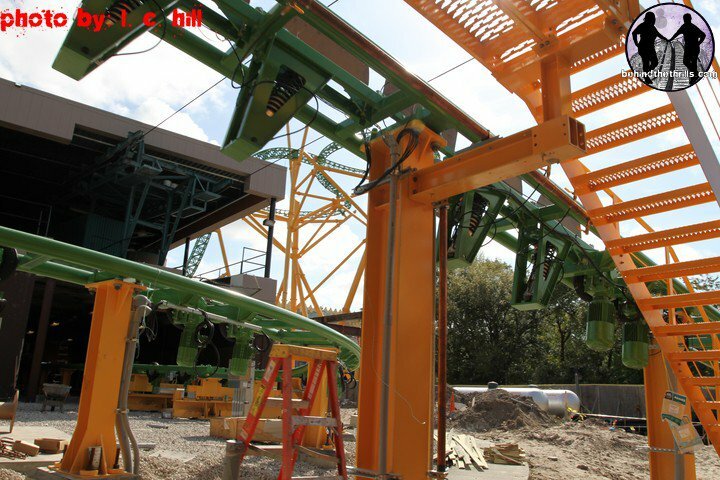 We’re well over-due to see whats happening with Cheetah Hunt. 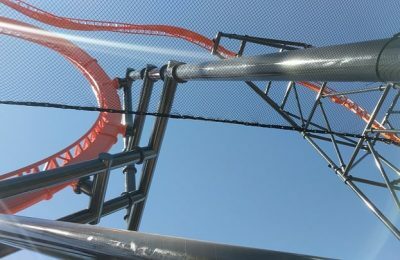 Track has yet to be completed, as the skyride is going to be shortered up a bit. It’s been the plan all along from what I’ve been told. Regardless, a lot of work has been done. Mostly in the station area, a lot of the buildings are beginning to look complete. Everything has kind of been walled up and those red support beams you saw sticking out of the old monorail station have been covered with building. One thing I realized is how close the track actually is to the train. There’s a set of steps right by where the train passes by. 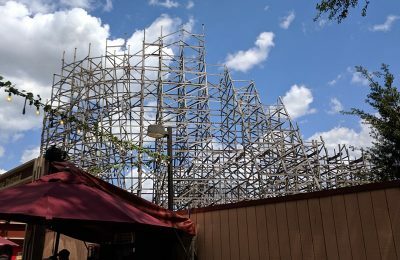 I’m hoping before they start testing, we’ll see a fence go up to keep folks out of the ride area. I’m also particularly interested in the photos underneath the figure 8. Looks like brown railings, possibly with track below it? Does anyone know more? See the image below. Also, check out these great photos from across the park.